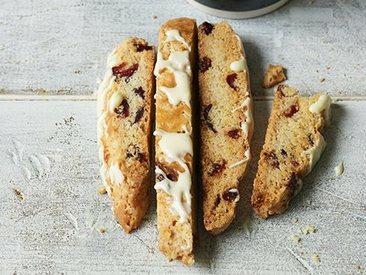 Dried cranberry & white chocolate biscotti! Having the ladies over for coffee? Here is an amazingly delicious recipe for you to make for your guests! BTW, the kiddos and hubby love them too!